Comic book fans, it is time to get excited — The Walking Dead just cast a major Season 6 role. 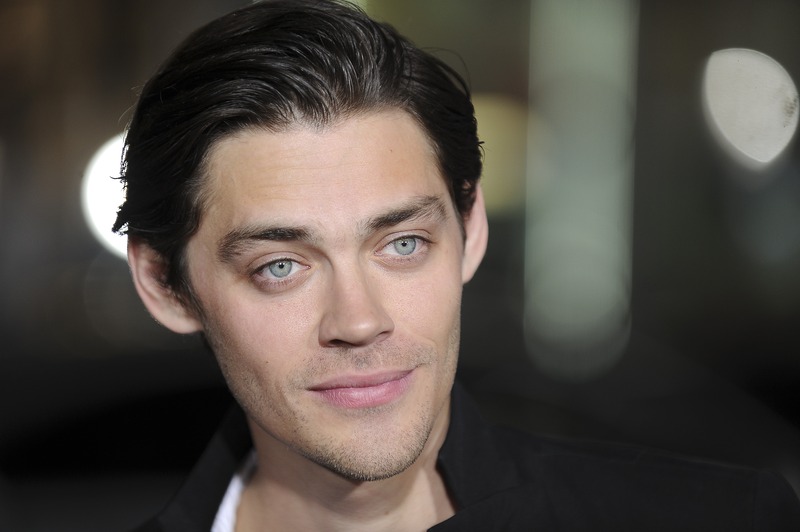 Specifically, the series has enlisted Tom Payne to portray Jesus, a key character in the comic book who is known for his hand-to-hand combat skills, advisory ability, and his long hair and beard (which earned him his Biblical nickname). The Hollywood Reporter revealed British actor Payne will take on the role of Rick's future confidante and champion in the new season, and likely lead to the introduction of The Walking Dead's ultimate villain, Negan. In case you're not up-to-date with the comics: Jesus is a member of the Alexandria Safe-Zone who moved from the Hilltop Colony, and he is such a skilled fighter that he takes down Michonne in one issue of the comics. Michonne, people — that is some serious talent. As a character, he is funny, incredibly smart, and a big Rick supporter. Season 6 is set to be a tough year for Rick as he settles into Alexandria, so having Jesus around could calm some of Rick's worries. Of course, watching the bond between the two characters form is going to be special for the fans — and, luckily, it is a bond that could last awhile: Not only is Jesus one of the rare characters who is still alive in the comics, Payne has a Season 7 option on his contract. In other words,that means he could be sticking around for more than a few episodes. Having Jesus show up is a big deal for The Walking Dead. It's not just that he is a cool character, it's that Jesus is part of a fascinating era of the series. Alexandria is just one of a whole bunch of communities that are forming. Jesus comes from another community and acts almost as a bridge expanding the world beyond the one-camp-at-a-time storytelling the series has done up until this point. The show has always set Rick's people in opposition of the walkers, the Governor, or, last season, those creepy cannibals. The idea that there are multiple thriving communities being built in the world has never come up. When Jesus becomes part of the show, Rick and company will begin to realize there are other communities all around them — and, thus, the world of the show will get to expand in a major way. It's not like Jesus is going to bring about a bright and sunshine-y version of The Walking Dead, though. If Jesus is coming, then Negan cannot be far behind — and Negan is the biggest bad in the entire series (so far). He is the leader of a group called the Saviors, but as is The Walking Dead way, they are pretty terrible people who want to take control over the independent groups around them. Negan is a scary, dangerous man who isn't big on empathy. While the character has not been cast yet, Jesus' addition certainly feels like The Walking Dead is getting closer to introducing him (especially considering their introductions were just one comic issue apart). For now, though, feel free to bask in the knowledge that Season 6 will bring one of The Walking Dead's coolest characters to life. Jesus is going to make this season even better than anticipated. The Walking Dead Season 6 premieres October 11 on AMC.